This spectacular 9.98 carat Tanzanite was cut by William Day, the number one cutter of Tanzanite in the world, before retiring. Day was a master at cutting to the blue axis of Tanzanite, and in this piece he accomplishes perfection. The setting, an 18k yellow gold suspended channel, allows light from above and below, and captures the true color of this natural beauty. The size of this stone is impressive, complimented by the comfort and beauty of the anatomic fit. Creativity ran wild in the creation of this Rutilated Quartz pendant by master goldsmith Damian Koorey. 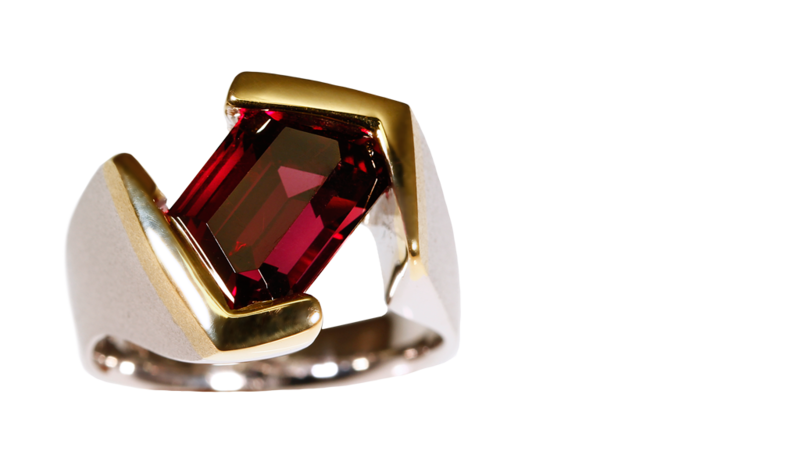 The stone was cut by German master Sonja Kriess, and set in 14k white and 18k yellow gold. Each piece of the pendant was individually casted and then welded together. 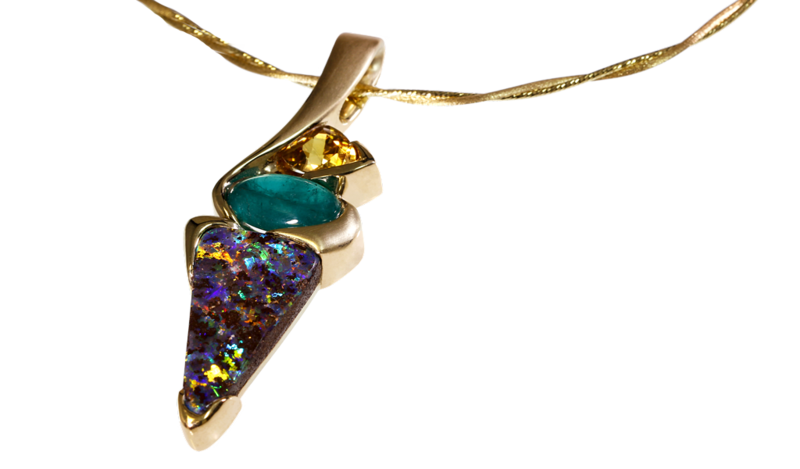 The imaginative design of this Australian Boulder Opal slide Pendant highlights the skill of Senior Master Goldsmith Douglas Koorey. The extraordinary 24.68 Boulder Opal is a miner's dream come true. It is accented with a rich blue Tanzanite and Princess Cut Diamonds to create a piece fit for the grandest occasion. The setting is handcrafted in 18k yellow gold with Rhodium overlay and Platinum. 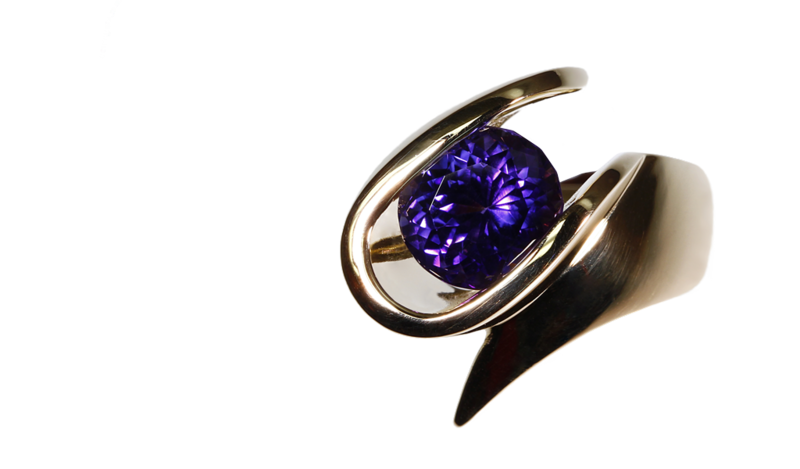 An 18k yellow gold sculptural setting holds this deep blue violet 23.15 carat spectacular Tanzanite. Cut by German cutting houses, this stone shows off the rich, deep blue color and magenta scintillation that made Tanzanite famous. It is the “heart of the vein” with a remarkable artistic setting, handcrafted by the Koorey Creations masters. This piece shouts out to be worn and admired. It is not possible for photography to capture the intense beauty of this magnificent hand-cut Australian Boulder Opal! While not the largest specimen in our collection this 14.1 by 11mm opal is extreme and rare. The stone’s broad flash and sheaths of color change from every direction are focused through a mirror finish. Its power is held eloquently in an 18k yellow gold setting which embraces the opal in an elaborate play on modern design and timeless beauty. 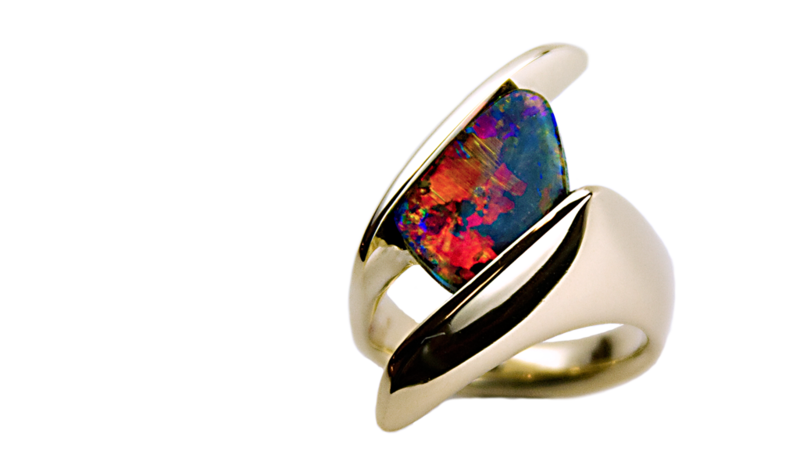 Comfort is also masterfully present as well, a piece for the truly passionate opal lover! 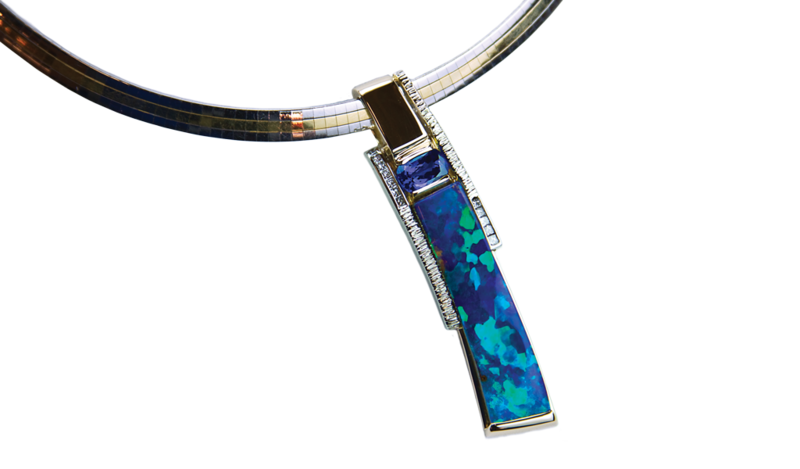 This piece evokes the feeling of Spring and hope as it draws on a kaleidoscope of colors from the powerful hand-cut 20.4 carat Australian Boulder Opal. This pendant’s innovative 18 karat yellow gold design and sweeping lines focuses the admirer’s eye to the regal buff-top 5.78 carat Emerald and the dazzling 3.29 carat trillion-cut Golden Zircon. It is an ahhh moment! The piece was designed by Koorey Creations owner, Deborah Koorey and executed by Senior Goldsmith Douglas Koorey. The results are fitting for any queen’s collection! Rich in color, so pure that in imparts the feeling of royalty, “Imperial E-Loop” ladies ring features the largest stone we have ever set in our signature “E-Loop” design – a breathtaking 4.48 carat round cut Tanzanite. 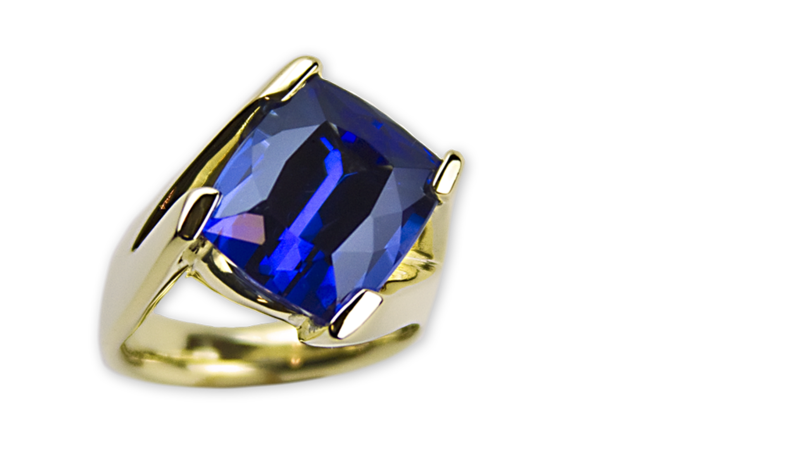 The 18k yellow gold in this setting wraps around the regal violet blue stone as if it were liquid, creating a piece that resonates royalty. This ring masters all the elements of form, function, comfort and longevity that we strive to reach with each of our creations. 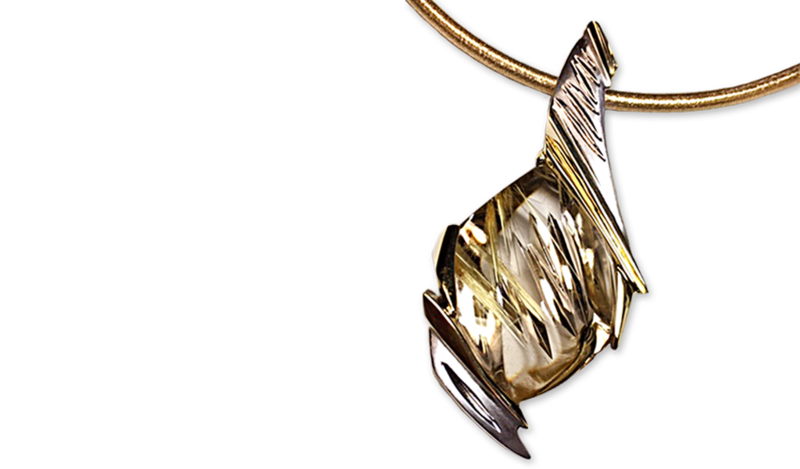 This pendant’s simple 18k yellow gold design highlights the unique beauty of Michael Dyber's sculptural faceting technique. 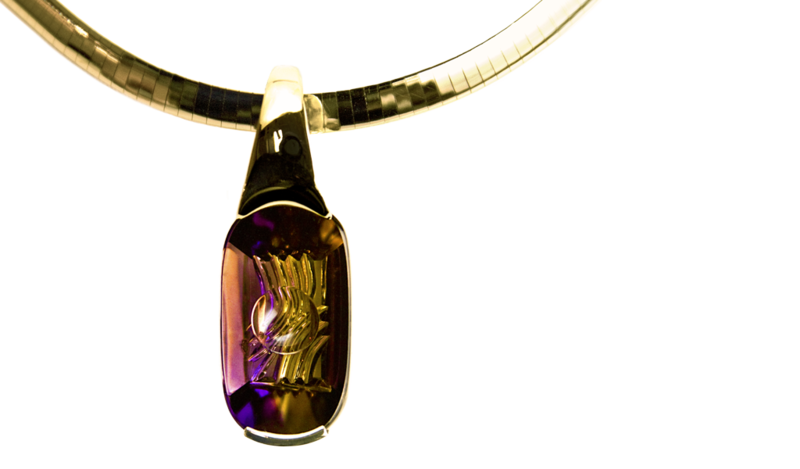 This 49 carat ametrine demonstrates the innovative carving that has earned Dyber International awards, including honors as “Top Cutter” at the German Awards for Jewelry and Precious Stones. His gemstone settings are collectible works of art. 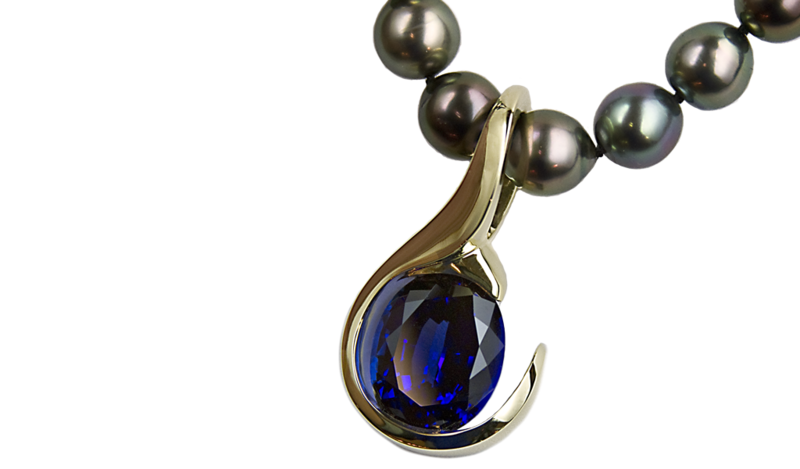 Koorey Creations has been working with Dyber gemstones for more than ten years, showcasing his unique creations in numerous master designs. We call it the “Trillion Perfection” for good reason! This 18k yellow gold setting perfectly holds a stunning 9.26 carat Trillion Cut Zircon, cut by AGTA award-winning gem cutter John Dyer. 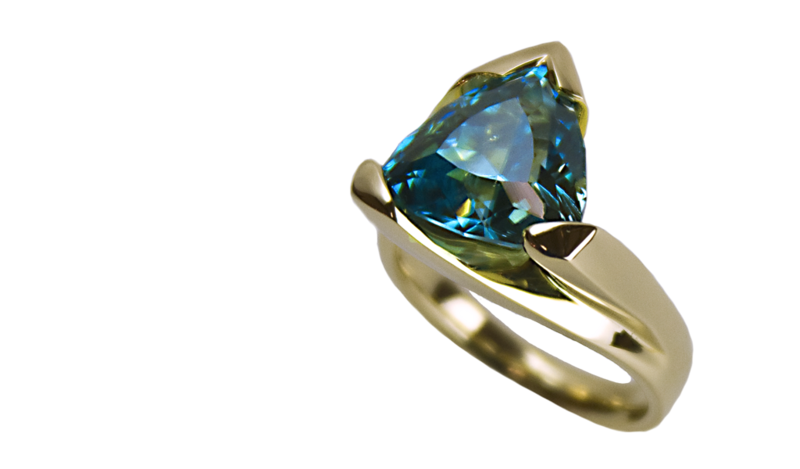 Rare for its size and color, this brilliant stone and the extremely difficult setting, shows off the quality and skill of Koorey Creations Master Goldsmith Damian Koorey. The setting is 18k yellow gold with all the comfort and elegance you have come to expect from Koorey Creations. This is one of our favorites – a perfect match of stone and setting!